Are you an introvert needing extra money? Or, let me put it this way, do you want to make money from your home? Don’t want to find ANOTHER second job and meet all those new people and also have to deal with all their weird idiosyncrasies like being bossy, hot-headed, and, worst of all, control freaks just to make money? (For example, you have to put this piece of cardboard facing this way, even though it’s just going to be put into a cardboard compactor in a few minutes anyway.) Sorry, for going down that road, but that was a personal work story. Would you rather earn money from the comfort of your own home, with the freedom to decide what to wear and the flexibility of determining your own hours? Well, this isn’t going to replace you getting a second job perhaps, but it’s a great way to earn extra cash for the month. If you are looking for a full or part-time job check out my page on Types of Jobs Online or check out my #1 recommended way to earn. If your answer is YES, then I couldn’t agree with you more, and maybe I can help. Because, like you, I have been there, countless times. Also, I would like to add a wise word of caution–survey sites typically pay significantly less than minimum wage. Now, some of these money makers are just ways to earn a little dough each month; they are not going to replace your full-time job. However, you may question what your time is worthwhile trying some of these. I am going to outline a few ways to Earn Money From Home. I personally enjoy doing some of these to help me financially, and I think it’s better than watching countless hours of TV. At least I’m getting paid for it, unlike watching the hypno-tube. Let’s get started. It’s go time. By far, this is the best way to make money from home I know about. I’m not kidding here! This is if you are serious about building a business for yourself and making money. What Wealthy Affiliate does is teach you, through easy to learn, step-by-step lessons on affiliate marketing. Affiliate marketing is making money by having a website and basically recommending or having links to products that are relevant to that certain page. To be honest, this takes some time. How much time? Anywhere from six months to two years. However, you can build your own business and make money from it. It is amazing! The other really great thing is you choose what your website will be about, too. You pick a niche you enjoy doing already, something you’re already passionate about. To read my full, in-depth review, head over to my Wealthy Affiliate Review 2016, Legit Money Maker? If you want additional information, head over to the tab above, labeled Getting Started. It deals with more information pertaining to Wealthy Affiliate. This beats surveys or Paid To Click sites hands down, as far as how easy it is to earn money. Less tedious and faster. 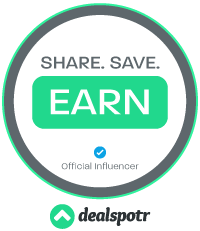 If you just dedicate some extra time during the day to post deals, promo codes, sales, or discounts to Dealspotr, the money will quickly build up in no time. They pay either by Amazon Gift Card or if you’re a Gold Influencer, you can get paid via PayPal. If you have a website and want to write a review of Dealspotr, I can invite you, and they will pay you $35.00 for doing this. Also, you make more money being an Influencer as well. It’s really worth going to Influencer. To check out more, head over to my pages, What Is Dealspotr About? And How To Become An Influencer At Dealspotr. This one is sooo easy. Just download and install this free mobile app on your iPhone or Android phone. This can be downloaded from the Google Play Store. Basically, you earn coins by taking pictures of your receipts, then cashing in your coins for either an Amazon gift card or a Paypal one (the method I prefer). To check out a more in-depth look at Receipt Hog, head over to my post Is Receipt Hog A Scam. Like I stated above, you won’t get rich doing this (unless you are a compulsive shopper, and thus forth hence, you will accumulate much more debt, and ironically, be defeating the whole purpose). Anyhoo, it’s pretty quick and really easy to do. You’re buying things throughout the week, and you might as well take advantage of it. I think you can probably (consistently) make at least $5.00 a month doing this. There is a 20 receipt maximum you can submit per week, but I’ve never come close to that many. There are even more ways to earn with this app, too. This site is one of my favorites, and it is actually kind of fun. So, I highly recommend doing this one. If you were going to pick just one to try, this is it. Plus, there is a $5.00 sign-up bonus right now, so click the banner above. I have done other survey sites; this has a lot more to offer, and it’s less like actual work. You earn money by taking surveys, reading emails, playing games, and more. To get a more in-depth review on InboxDollars, head on over to my post An InboxDollars Review. You earn $.01-$.10 cents per email read, which is easy. You just click the Confirm this PaidEmail at the bottom, and a separate page opens. Just close the page as soon as it fully opens, and you’ve been credited the points. You also earn $.01 cent per search for using their search engine. Some of the surveys pay $5.00, which is pretty good. The bad part is you have to get up to $30.00 before you can request payment, and they take $3.00 out for your first withdrawal. Also, the surveys can be kind of lengthy (30 minutes). This is Amazon’s crowdsourcing job interface. Once you sign up, you can view HITs, (Human Intelligence Tasks). Basically, they’re jobs or tasks that you work on to earn money. Money earned can be deposited into your bank account or redeemed for Amazon gift cards. There are various HITs to do to earn money: Transcription, surveys, article writing, classify images and/or objects, and many more. Be prepared to take tests to qualify to be able to complete HITs. There is usually a request qualification to the right of HIT or the qualification tab at the top of the screen. There are many different HITs, so there is variety, and if you find a certain HIT you like doing, all the better. Currently, over 200,000 HITs are available and ready to start working on. The pay for HITs vary from .01 and upwards. instaGC stands for Instant Gift Card. This is another survey site, but you can also earn other ways, like watching videos, clicking on websites, etc. You earn points doing various tasks, and when you get a hundred points, it’s $1.00. You can also be paid via gift card or Paypal (but you must have received $50.00 in gift cards before you can be paid via Paypal. After you receive $50.00 in gift cards, you’re able to be paid at $1.00 amounts and up, via Paypal ). Another super easy way to earn points is by watching for their instaGC Booster Codes, usually posted on social media, or you can just go to my page, where I post it with a link instaGC Booster Codes. Just enter a code and receive free points. Their Twitter page or Facebook page usually post free booster codes every three days or so; if you keep an eye out for them and use them, they start to accumulate rather fast. The points vary, which range from 1-10 points. You can enter these codes under the redeem tab. The negative aspect of instaGC is lengthy surveys–some of them are just extremely long. Furthermore, a lot of surveys don’t even get credited to you, which really is unfortunate. The recommendation is to clear your cookies and cache and make sure you don’t have any ad blockers on. People claim to get $5.00 a day from them. I personally couldn’t do that many surveys in a day, but if you’re dedicated, go for it. Swagbucks is another website where you earn points that you later convert into gift cards or Paypal. Swagbucks has a nice layout and a lot of ways to earn SBs (Swagbucks). You can take surveys, watch videos, etc. I like doing the daily craves; you watch two videos (30 seconds each) and receive one point. These add up quickly. In addition, you can shop online and receive points for purchasing items. Why not, right? Some of the companies you can shop are Walmart, JCPenny’s, Amazon, Travelocity, Gap, Old Navy, and many more. I also did a very informative review on Swagbucks, titled Is Swagbucks Legit? The object here is to meet your daily goal to receive bonuses that will quickly add up in the long run. Another way to earn points is to use Swagbucks search engine and earn points every time you search for it. PrizeRebel is another interesting and easy-to-use site. You have several ways to earn points, such as surveys, offers, and videos. They also have a very low redemption threshold. You only need enough to buy a gift card or $5.00 for Paypal. Most other sites require $20.00 or $30.00 in your account in order to withdraw money. For more information, you can read my full review of PrizeRebel here, PrizeRebel Review. 100 points = $1.00 The payout bar is also a nice feature, which shows you how close you are to the payout. Where this site shines is in the offers category. Generally, these are CPA (Cost Per Acquisition/Action) offers. These are easily recognizable. An example is sign up for a free month! You usually have to provide a credit card number, so when your trial ends, you have to cancel in order not to be charged. There is some risk involved in completing these offers. It works like this: they give 2000 points to sign up; that’s around ($18.00), and it only costs you around $6.00 to sign up. This would be an ideal CPA to earn a potential profit. Remember, if you don’t want to continue the service, you also need to cancel when the trial is up. This could be confusing if you’re not keeping track of the date the trial ends. So, I would write down the offers and end dates to make sure this doesn’t happen. What are your experiences with these sites? Do you have any favorite site or suggestions for earning income from home? I would love to hear any questions or comments. Thanks for your time and happy earning! Good stuff really gives me the feeling to want to start using these sites myself. good use in sectioning your content. I would have put all the blue type link names in BOLD as you did with ‘swagbucks’ but didn’t seem to have done with the others. Thanks Elijah for the compliments. I’m trying to fix the other links to bold, but it’s not letting me. Weird. I really like Receipt Hog, little to no effort. Which is one is your personal favorite? I’m really having a hard time trusting them since there are so many scams out there. Definitely Receipt Hog because it’s so easy to use. You can trust these sites, they all will pay you, I have been paid by all of them. Hope this helps, Julius! Hi Dan, this is a great list of ways to make some extra money online. I haven’t heard of receipt hog before, so might go ahead and check that out. I can be quite introverted, and that’s one of the reasons I really looked into being able to work from home. I like being able to have the freedom to work how I want, and not have to do things the way other people want them. Now, from your list, I have a few extra potential money making methods to add to my list. Thanks! Hey Stephanie, thanks for the comment. Receipt hog is great, easy but your not going to get rich or anything but can earn with very little effort. I also love working by myself at home and jump at the opportunity when I find one. Good luck and let me know how the work out for you. Carl, your welcome. Yeah, some people would rather do these kinds of tasks, than where you invest money trying to make a lot of cash. It’s fine as long as you know what your time is worth to you. Another insightful review with some more intriguing opportunities to investigate for myself further. Cheers. Bruce, it seems everyday there are more and more companies and new fields for employment online. It is such an interesting ever growing field, to be expand on. I plan on doing a page two of this someday. So keeping coming back and checking. Thanks. Is Amazon mturk only for US residents having social security number? Iam located in India. I applied once and got rejected.